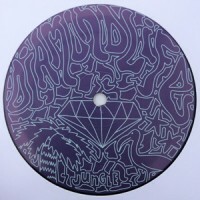 Modern jungle savior, Coco Bryce's Diamond Life label introduces the jaw dropping brilliance of Necrotype. Previously displaying a concise grasp of darkstyle jungle flavours, across labels Jungle Rollers and 7th Storey Projects; the Brighton based Ten Kaidan offers up two well crafted rollers that show off a gentle, more playful side. "Yosei" is pure liquid D&B beauty, a bit faster and less jungle oriented than what we're used to from Diamond Life, but definitely on a similarly lush and melodic tip. On the flipside we're treated to "Break Through", think 'atmospheric roller meets halftime junglism'. Matt says: Quality as always fron this Netherlands based superforce - if you're not in tune with the sound get to know!